Coming off of an undefeated season that concluded with a 7-6 Clark County School District championship victory over Centennial, the Lady Eagles come into a new season the presumed favorite to represent the Division I-A Sunrise in the state title game. 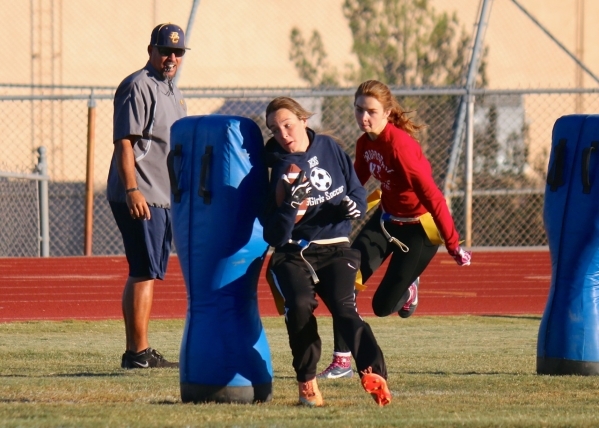 After a pair of Southeast league championships in which they finished 42-1 under coach Chris Morelli, the Lady Eagles will now move down a level into the Division I-A ranks after the CCSD found that lowel-level teams, excluding Boulder City, were at a disadvantage competing against higher ranked competitions. Outscoring the three Division I-A teams they faced off against 166-6 last season while in the Southeast division, the Lady Eagles shut out all three off their new conference opponents: Chaparral, Del Sol and Southeast Career Technical Academy in the process. Returning arguably the state’s best player from a season ago, senior quarterback Jeanne Carmell serves as they Lady Eagles’ top two-way player. Completing 297 of 465 passes a season ago, Carmell passed for 3,847 yards and 44 touchdowns, while throwing just three interceptions. A dual threat in the pocket, Carmell also rushed for 1,719 yards last season with 15 touchdowns. Returning on offense to help lessen the load on Carmell will be senior running back Paige Buettner and senior wide receiver Oshanna Remy, who are both coming off of great junior campaigns. As a reliable pass-catching back, Buettner caught 32 passes a season ago for 386 yards and a pair of touchdowns, while rushing for 683 yards and 11 scores on 124 carries. Remy, returns as the Lady Eagles’ leading receiver after hauling in 70 receptions a season ago for 700 yards and seven touchdowns. Able to supply Boulder City with a second rusher as well, Remy gained 247 yards and a touchdown last season on only 31 carries. Also returning on offense this season for the Lady Eagles will be senior Makenzy Waldo (17 catches, 258 yards and three touchdowns) and juniors Taylor Martin (17 catches for 177 yards) and Kenadee Bailey (11 catches, 125 yards and two touchdowns). While Boulder City figures to be among the state’s best offensively, the case could be made that its defense is the team’s strength overall. Behind the unquestioned best pass rusher in the state Buettner, the Lady Eagles posted a dozen shutouts a season ago. Garnering a state-leading 42 sacks last season as a linebacker, Buettner serves as a potent pass rusher for the Lady Eagles, making it hard for opposing quarterbacks to make plays. Tallying 119 tackles as well a season ago, Buettner is a one-of-a-kind player, after only four players last season posted double-digits sacks with the next closest competitor coming in with 27. Returning on defense as well this season will be the senior trio of Carmell, Remy and Waldo, while the junior duo of Bailey and Martin will also be relied upon heavily. Carmell returns as the team’s leader in interceptions after snagging six last season along with 67 tackles, while Remy returns after an all-around statistically solid season as a junior, making 60 tackles, while tallying three interceptions and three sacks on the season. 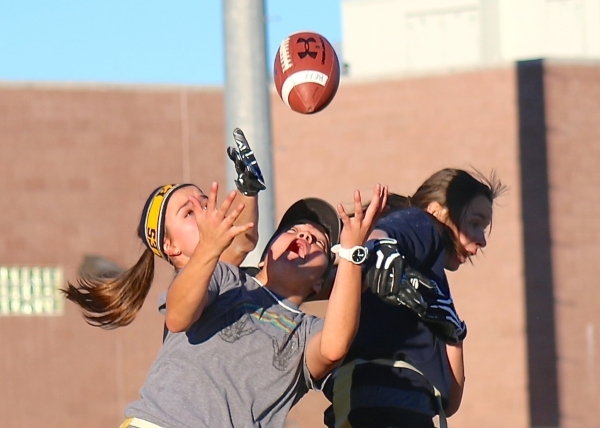 Waldo also pulled down an interception for the Lady Eagles, while making 25 tackles. Coming off of a phenomenal sophomore campaign, Bailey returns after tallying 84 tackles with four sacks and three interceptions, while Martin got her feet wet on the defensive side with 13 tackles and an interception. Looking to improve upon their success from the past two seasons, the Lady Eagles will open their season on Dec. 1 on the road against Cheyenne.